Topping best boiler surveys seem to have become a bit of a habit for boiler manufacturer Worcester, Bosch Group. 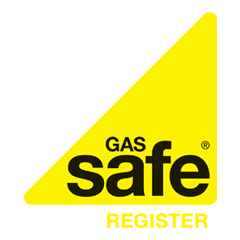 The provider of domestic heating and hot water products has seen its popular Greenstar gas boiler range top the 2014 Which? best boiler award – for the fourth time running. Which? compared Worcester’s Greenstar gas boiler range with 12 other boiler brands. The manufacturer achieved the highest scores for customer satisfaction and brand reliability to come out on top with 89% and 79% respectively. Which? calculates the customer satisfaction score based on feedback from survey participants, specifically their overall satisfaction and how likely they are to recommend the boiler brand to a friend. Reliability is based on the number of boilers up to 6 years old which have required repair. Every boiler in the Greenstar gas fired range – of which there are 30 – has achieved a Which? best buy award. In fact, Worcester was the only brand to meet their Best Buy benchmark this year. The company’s oil-fired Greenstar boiler range also fared well with a customer satisfaction score of 79%. According to the Which? survey, 2 in every 5 people who have purchased a new boiler in the last 6 years have chosen a Worcester Greenstar. Worcester, Bosch customers seem to be the happiest of all the boiler brands, with their boilers less likely to develop a fault compared to the other surveyed brands. Read more about the costs and benefits of a Worcester boiler. If you need a new energy saving boiler replacement to help cut energy bills, Boiler Guide can provide you with up to three quotes from trusted and approved boiler installers. The quotes are free. So act now before the cold winter weather arrives and energy companies begin their inevitable price hikes.